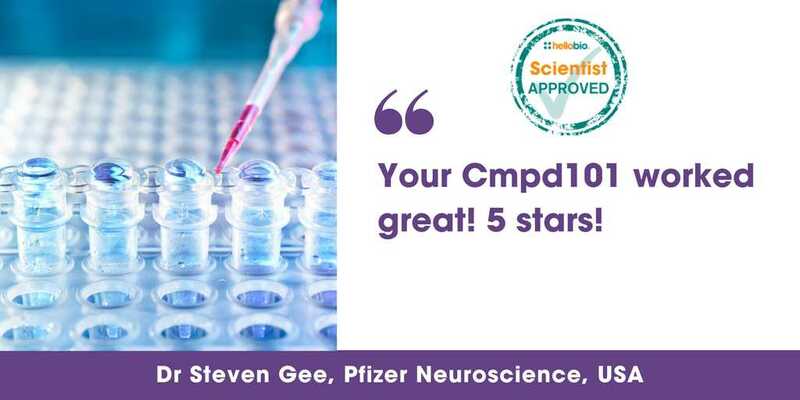 Cmpd101 (Compound 101) is a novel, potent and selective G-protein coupled receptor kinase 2 and 3 (GRK2/GRK3) inhibitor (IC50 values are 35 and 32 nM at GRK2 and GRK3 respectively). 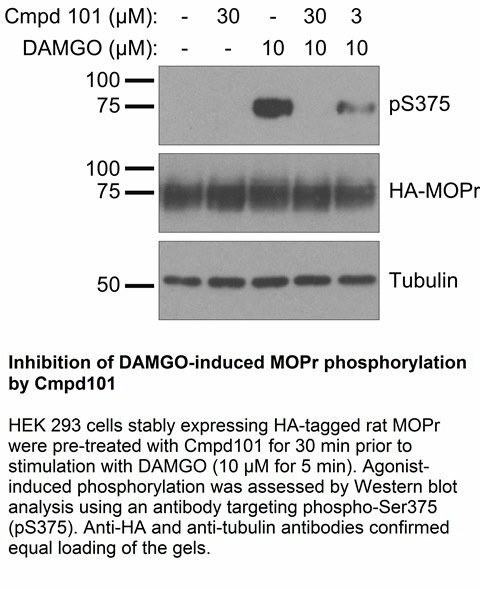 Shows no activity at GRK5 at concentrations up to 125 µM and shows little activity at a broad range of other kinases. Cmpd101 can be used to study roles of GRK2/3 in GPCR desensitization and other functions. Shown to potentiate phosphatidylinositol 4,5-bisphosphate (PIP2) depletion and slow agonist-induced desensitization of protease-activated receptor 2 (PAR2). Molecular mechanism of selectivity among G protein-coupled receptor kinase 2 inhibitors. 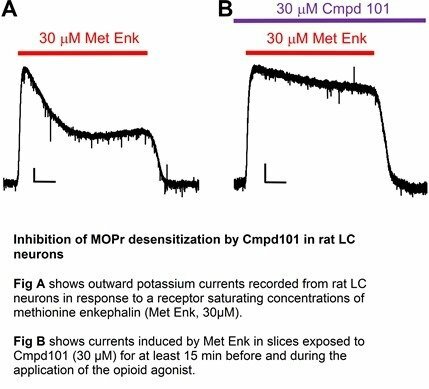 Role of G Protein-Coupled Receptor Kinases 2 and 3 in μ-Opioid Receptor Desensitization and Internalization. Contributions of protein kinases and β-arrestin to termination of protease-activated receptor 2 signaling. The following papers have cited the use of Cmpd101 (HB2840) from Hello Bio. If you have published a paper using this product, and it is not shown here, then please tell us! We will send you a free gift as a thank you! Muscarinic receptor regulates extracellular signal regulated kinase by two modes of arrestin binding. Regional Heterogeneity of D2-Receptor Signaling in the Dorsal Striatum and Nucleus Accumbens. Your Cmpd101 – worked great!